Kimi no Na wa (Your Name) moves past Spirited Away to become the highest grossing anime film of all time. I saw this on Reddit and thought it was pretty interesting. I have actually not heard of this movie but I will probably see it when Funimation releases it. I’m just impressed it’s managed to beat the juggernaut that is Studio Ghibli. Kimi no Na wa. has currently grossed over ¥33.93 Billion (~ US$290 Million) at the international box office, beating out Spirited Away which ended its international run at ¥32.96 Billion (~ US$289 Million). The large bulk of the gross was domestically in Japan, where since the film’s debut on August 26, it has earned over ¥22.4 Billion (~ US$192.5 Million). 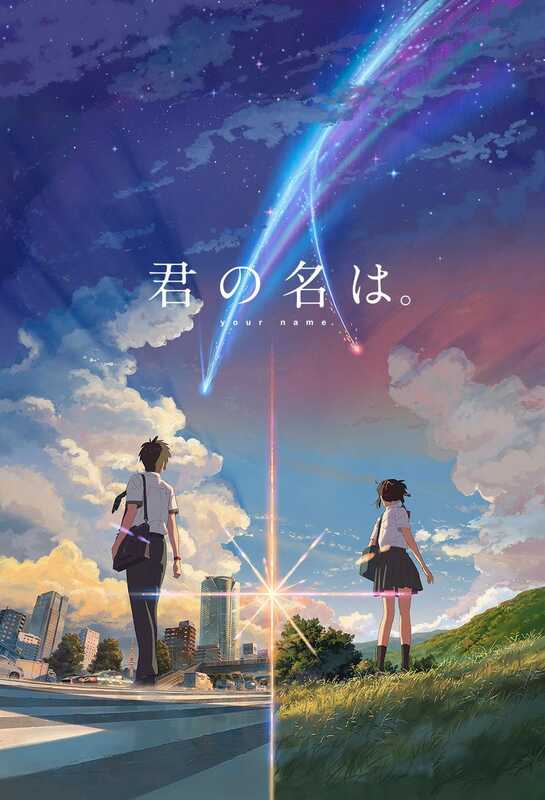 In Japan, it is currently the 3rd highest grossing film of all time.Following Japan, the second largest regional gross was China at ¥9.23 Billion (~ US$81 Million) becoming the highest grossing Japanese film in China since its launch on December 2nd, 2016.The film also made waves in South Korea when it released on January 4th, 2017 taking the #1 opening spot (the first since Ghibli’s Howl’s Moving Castle). The film has earned over ¥1.7 Billion (~ US$15 Million). If you’re like me and have not heard of this movie but are curious about it, here is the official Funimation English subtitled trailer. Funimation is planning to do a theatrical release in the first quarter of 2017 but there is no release date set.